VIVA Blue & Spa: The best hotel for starting your triathlon season! If you love the beach, playing sport and into triathlons, and you love nature, then Hotel VIVA Blue & Spa is the place for you. It has great facilities that have been designed with the keenest of sportspeople in mind. And with its fantastic location next to S’Albufera Natural Park - which UNESCO has declared of national interest - you have access to many training routes that start from the hotel. 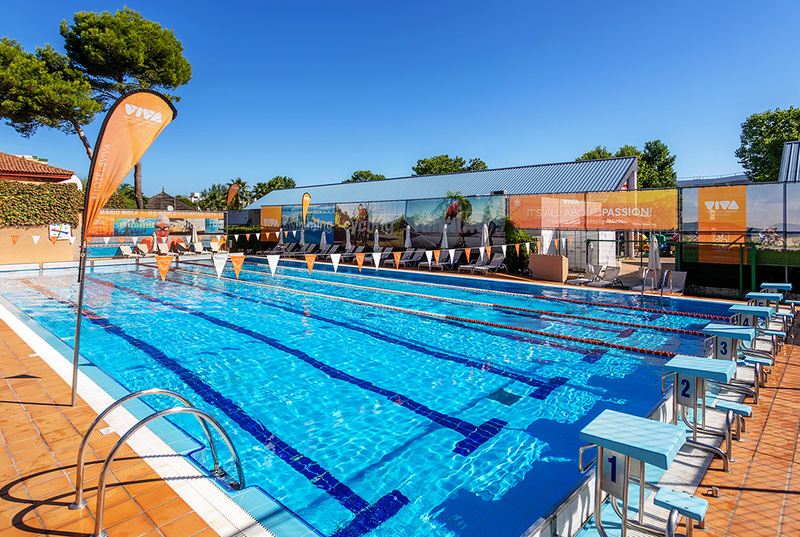 If you come to Hotel VIVA Blue & Spa with the family, you’ll also find plenty of activities for the kids whilst you train for your triathlon season in Mallorca. The hotel has facilities of the highest quality that have been especially designed for training for sports such as triathlons that combine swimming, cycling and running. We have a half Olympic size outdoor pool so that you can get ready for your swimming challenge. With our modern Cycling Station, where you can safely store and work on your bike, it won’t be short of anything. Whether you’re a professional triathlete or a keen amateur, your whole body needs to be on top form - which is why we have a professional gym. Sports enthusiasts know that physical fitness is only 50% of what matters, and that the remainder is all about good mental attitude. And what better than a quiet, comfortable hotel located in a first-class natural setting to help you tone up your mental muscles and achieve the calm concentration you need. At the end of a day training, a visit to our Balneum Spa and sports physiotherapists will leave you feeling like renewed and refreshed. As an athlete, you’re careful about what you eat. So our cooking is especially planned and prepared for athletes, with the nutritional information you need available in our restaurants. We offer a range of menu options especially designed for the needs of athletes. Which means you can keep taking care of your nutrition even whilst on holiday! Is this hotel only for triathletes? Not at all! Just ask the thousands of families with kids who stay with us every year and have a wonderful time enjoying our mini-club, pirate ship, water games and great fun children's entertainment that keeps up with the fast pace that little ones require. Indeed our hotels with their water slides are famous in Mallorca. We are one of the top favourite hotel chains among families looking for somewhere to stay and relax for a few days. One of the things that makes us successful is that while mum and dad are busy training, the kids can have fun enjoying a whole range of activities with our entertainment team, enjoying a holiday that they will always remember. It’s during our childhoods that we make our most precious memories! That's why the whole team at Hotels VIVA is fully committed to the children in the family. VIVA Blue & Spa or, in other words, Mallorca’s best hotel for triathletes and sportspeople, is located in the extraordinary setting of Muro beach, the largest white-sand beach in Mallorca, and S’Albufera Natural Park, the largest wetland in the Balearic Islands. To achieve your best training, beat your personal best, and bring out your full potential depends on factors such as: having access to the best equipment, meals that are prepared to the highest standards, a comfortable room, and the perfect natural setting. More and more professional triathletes and serious amateurs choose us for their meets. And many return year after year. This is proof that we’ve succeeded in meeting their expectations as well as all their needs. The best guarantee of the quality and expertise that we offer.